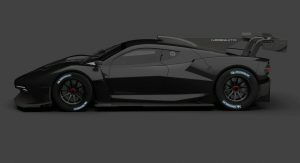 Is there any room left in the market for a limited-run, track-focused supercar from a boutique manufacturer that costs more than $1 million? A small engineering firm based in the Czech Republic seems to think so. Last week, Performance Solutions revealed plans to build what it calls a “street-legal race car.” It’s called the “Mosquito,” a throwback to the De Havilland DH.98 Mosquito British World War II fighter plane known for its speed and lightweight construction. Designed by Tomáš Sabáček, the Mosquito draws inspiration from the famous aircraft in the sense that it will be extremely lightweight. 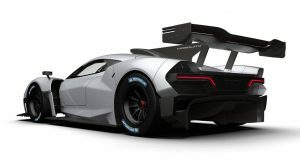 It’s projected to tip the scales at just 974 kilograms (2,147 lbs), thanks mostly to a full carbon fiber body. 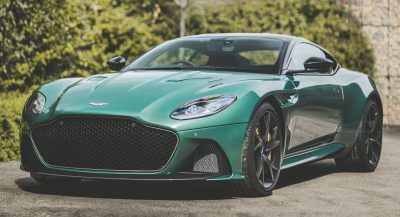 That’s impressive for a car that will have 600 hp (608 PS) and 650 Nm (479 lb-ft) of torque from a naturally aspirated V8 engine. 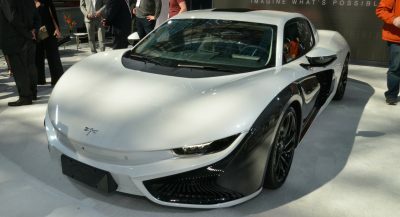 Ryan Thoma, business development manager at Performance Solutions, told Carscoops the company hasn’t yet chosen an engine, although it’s leaning towards “a proven American powerplant.” In order to keep the weight down, the engine will be mated to a single-clutch racing gearbox operated by paddle shifters. So how fast will the Mosquito be? 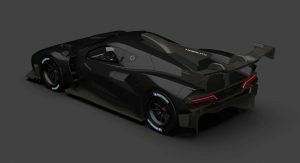 Performance Solutions estimates it will sprint from 0 to 100 km/h (62 mph) in 2.9 seconds and will reach more than 320 km/h (199 mph). 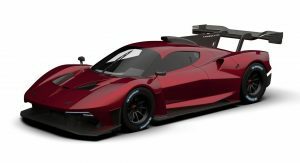 That sounds great for drag racing, but will it be any good on a racetrack? 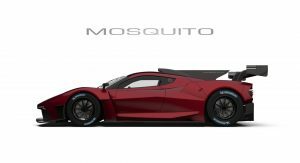 Looking at the renderings, it’s obvious the Mosquito will feature a racing aero kit with a massive rear wing, huge front splitter, and a central tail fin. 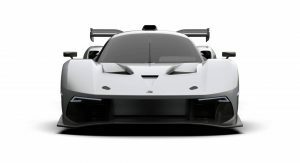 It will look like a race car inside too, thanks to a customizable dash including a head-up display and bucket seats built into the carbon fiber interior. 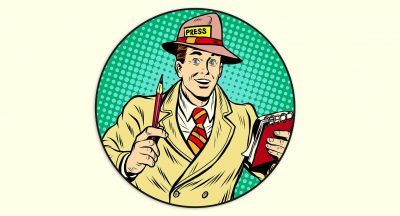 The project is in the very early stages at the moment, with the company having just kicked off the design phase. 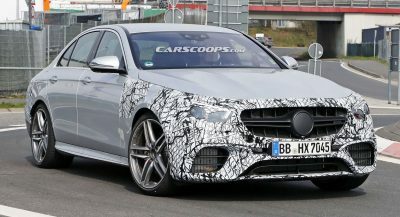 The car is still 24 months away — and that is if everything goes according to plan. 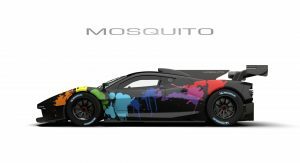 If it does, Performance Solutions wants to build only 18 Mosquito supercars, each highly customized according to its buyers’ wishes. 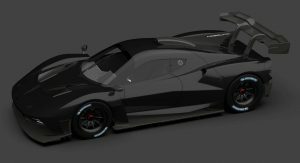 Expect a seven-figure price, “close to that of the Brabham BT62“, which has a £1 million ($1.32 million) tag. 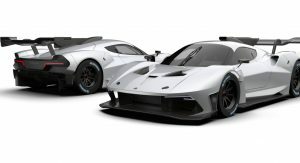 Performance Solutions is already taking build slot reservations, while further down the road it would also like to race the Mosquito at Le Mans. Why name a car after one of the most annoying insect? Wow, totally original, front of a Vulcan, side of Brabham comes from a company no one ever heard of, million Dollar pricetag and named after plague carrying animal. I can’t imagine how this car is going to fail! Does it Sound like a Mosquito? Agility? Can’t think of anything else. Fine I give you that. Or better said. I give it that. That can’t be the real name. No, just, it’s not real. Just can’t be. Not the first car to be named after a natural enemy of man but this is just stupid. looks decent. not an exaggerated aggressive design, nice. 600 horses from an engine they haven’t got yet? Nice!